Lawrence Hayward, the lead singer and nitpicky aesthete behind the cult English band Felt, wrote songs full of black humor, bitterness, name-checks, and obscure swipes at ex-bandmates and ex-girlfriends, fueling the band’s prolific decade-long run with his ambition, vanity, and self-pity. 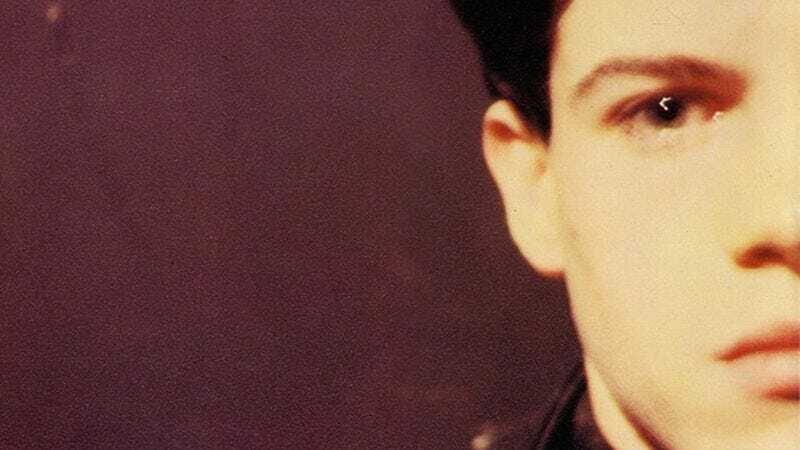 Back in the 1980s, Lawrence (as he preferred to be called, like a bona fide pop star) had fragile boyish looks, which only added to the fascination stoked in the British music press by stories of his eccentric behavior, all of which were probably exaggerated. He thrived off failure and ran his band like an experiment in artist ego; he doesn’t appear at all on the penultimate album, Train Above The City (1988), despite being the sole constant member. Felt never put out an EP, LP, or single that wasn’t at least conceptually interesting. In fact, most of their releases are great, and a few are even masterpieces. Forever Breathes The Lonely Word (1986) is one of those. Lawrence started Felt (which was really just him at first) as a teenager in his tiny hometown of Water Orton. He was obsessed with New York City and eager to make noise and be famous; he couldn’t yet tune or really play a guitar when he put out the first, self-financed single in 1979. But he became a rock auteur, with clear ideas about how he wanted to use other people’s talents. (And also, how he wanted those people to look.) For the first half of the band’s existence, his foil was Maurice Deebank, a gifted classically trained guitarist. He quit the band and more or less disappeared off the face of the earth after Ignite The Seven Cannons (1985), the band’s most lavishly textured album (and only chart success), produced by Robin Guthrie of Cocteau Twins. After that, the cornerstone of the Felt sound became Martin Duffy, a teenage keyboardist who had answered an ad that simply read, “Do You Want To Be A Rock ’N’ Roll Star?” It’s his face that’s on the Forever Breathes The Lonely Word album sleeve. Like almost all Felt albums, it’s fairly short, running only a little over half an hour. It was their first LP to feature no instrumentals, putting Lawrence’s songwriting front and center. The songs he wrote for Felt were never that complicated, with many of the best relying on easy chord progressions in C major or A major. But at his best, he drew on a well-developed personal cosmology as effortlessly as Bruce Springsteen, Tom Waits, or Leonard Cohen. It was a caustic worldview shaped by an early obsession with New York post-punk and a subsequent discovery of folk rock, furnished with desolate imagery by the mythic olden times of antiquity, the age of sail, and the Middle Ages. (As was always the case with Lawrence, these fascinations are reflected in song titles: “Viking Dress,” “Nazca Plain,” “Vasco Da Gama,” “Christopher Street.”) Lawrence turned his tastes and aesthetic fixations into something like an existential language. Forever Breathes The Lonely Word is where you find so many of the fascinations of what was eventually termed indie pop coming together in a mature form for the first time. However many self-deprecating, chamber-rocking bands may have cited The Smiths as an influence, few actually tried to sound like the band. It was Lawrence and Felt that gave the genre its dark, self-obsessed roots. The retro-but-not aesthetic and the attitude of Lawrence’s vocals and references (Arthurian quests, Greek epics, Faustian bargains, desolate American nowheres) mesh so well that it can take a couple of listens to pick up on the fact that Forever Breathes The Lonely Word is a richly unified song cycle, at once ambivalent toward figures of fame and divinity (interchangeable, in Lawrence’s worldview), and controlled by them. Basically, it’s about being an artist. It taps disappointment, despair, and anxieties about leaving a mark on the world, and turns them into energy—swirling sounds and words. Throughout, Lawrence equates art with a higher power, which is pretty much all one needs to decipher the title of the album. Felt was an obsessive’s band perfectly designed for other obsessives, its work scattered with cryptic clues, self-references, and self-effacement. (This model would be copied more or less verbatim by Belle & Sebastian’s Stuart Murdoch.) It never enjoyed more than modest success and indie notoriety, yet so much of its richest work was about power—fantasies of revenge and rapture, expressed in and through style. Lawrence, equally intoxicated and repulsed by acclaim and fame, has never himself been a famous artist. Part of the accomplishment of Forever Breathes The Lonely Word is that sense of fantasy and projection. Lawrence sings about art and success as though they were foundational myths, while acknowledging that myths are usually just that—myths. It’s ironic, but not detached. Purchase Forever Breathes The Lonely Word here, which helps support The A.V. Club.